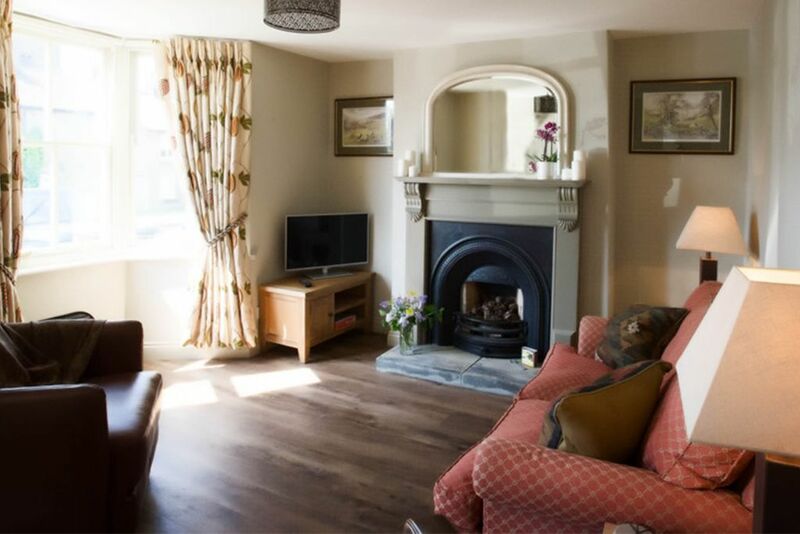 The accommodation comprises a delightful sitting room with open log fire, a cottage style dining kitchen and downstairs cloakroom. The well-appointed kitchen has the benefit of a dishwasher, ample storage and a roomy fridge freezer, together with an extensive range of table and cook ware. On the first floor there are three bedrooms, the master bedroom with a king size sleigh bed, the second, a twin bedded room and the third a single. There is a bathroom with bath and power shower. Rooms are comfortable and homely with quality fittings and furnishings. Outside there is a generous storage area for cycling and walking equipment. Included with the property is all bed linen and towels, internet with wifi, tv, dvd/playstation and plenty of logs for the open fire. A travel cot and high chair can be provided on request. On-line grocery deliveries can be received prior to your arrival if required and a 24 hour week day laundry service is available. The cottage is dog friendly and we are happy to allow your well behaved canine companion to stay. Number 10, is ideally located in the centre of the village of Osmotherley and a very short walk past the market cross are three excellent local pubs and restaurants, The Golden Lion, The Three Tuns and The Queen Catherine Hotel. Osmotherley is at the gateway to the North Yorkshire Moors National Park, and set in the heart of walking and cycling country with many well-known and documented walks, such as the Cleveland Way, The Lyke Wake Walk and a stretch of the Coast to Coast route.